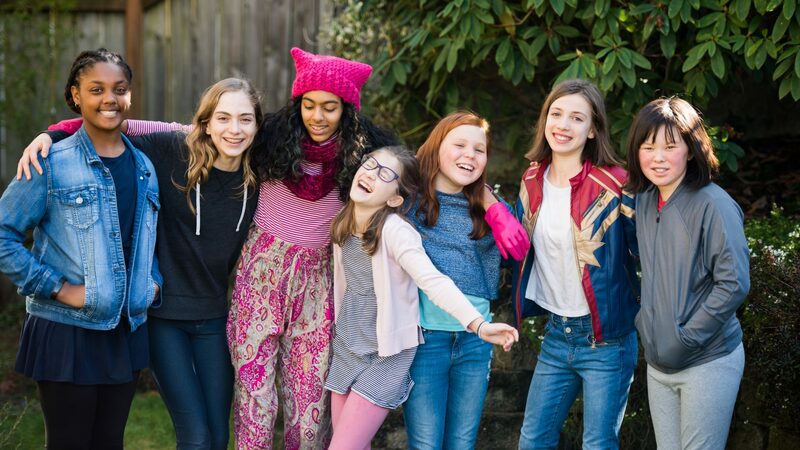 Following weeks of planning and a kick-off meeting with their parents, the Damsels in Progress successfully held their first meeting! 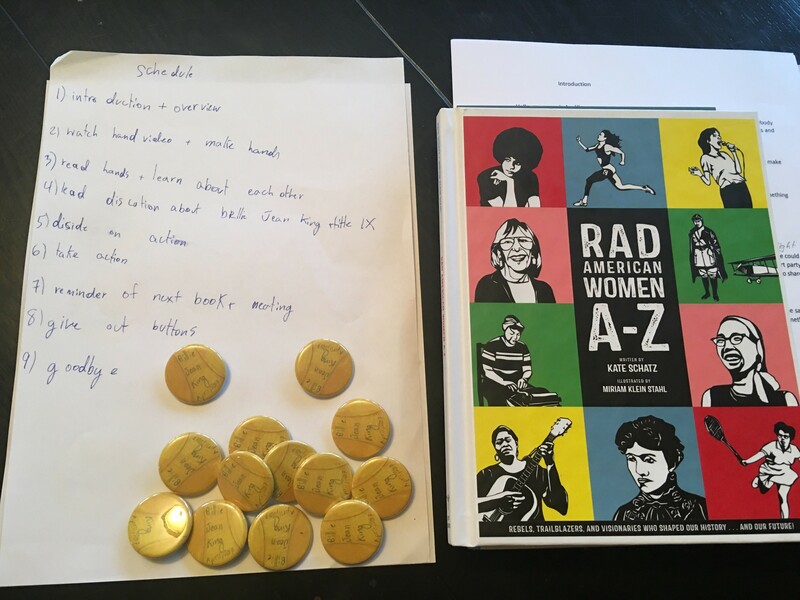 They read the fantastic book RAD American Women A – Z by Kate Schatz and Miriam Klein Stahl and focused on Billie Jean King for this month. After creating hands for Youth Uplift as an icebreaker/craft and a round of introductions, Amélie led a group of ten(!) excited girls through a discussion of Billie Jean King and Title IX (including reviewing this video explaining Title IX). From there, they (totally on their own) decided to host a community soccer game with both genders on both teams and a concession stand. They are going to charge a small admission to play as well as selling baked goods and lemonade. A couple of the girls have been tasked with finding a charity that supports girls/women in sports and the proceeds will go there. All of the girls brainstormed the jobs that will be needed for this event and volunteered for roles. This first action is a bit more involved than we may have expected, but we’re thrilled to see them think big! In the future, we’ll likely see some more immediate and less time-consuming actions mixed in with bigger events like this one. Their parents are working on finding a date and location while the Damsels iron out the other details. Stay tuned for a recap of the event.